Join us for a special 15-day rehabilitation tour (retreat) designed to support your cancer recovery, chronic-disease rehabilitation and overall health. 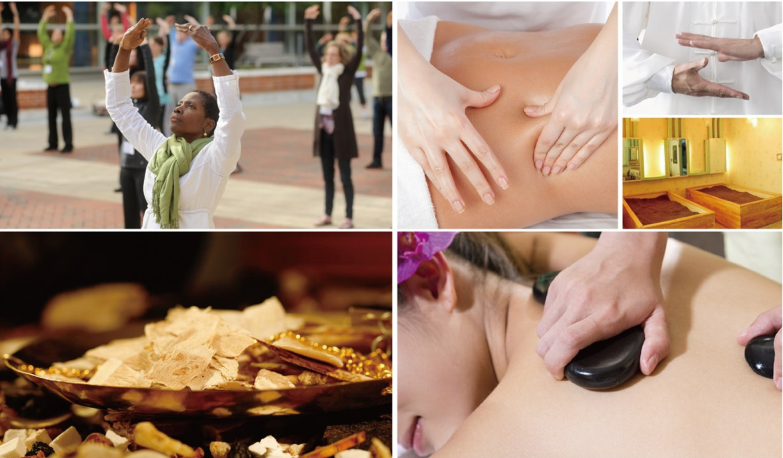 By offering individualized TCM treatment and nutrition therapy, and teaching mind-body integration techniques, stress management and emotional health, this tour/retreat will support your journey to comprehensive healing for general health and overall well-being. You will learn evidence-supported self-healing techniques (medical Qigong) designed to enhance your recovery and develop a positive, optimistic and confident attitude and strength about your life journey, while experiencing the special TCM rehabilitation program characterized by tri-healing: Emotion & mood management, detoxification & purification, and energy ascension, all in a calm, comforting and energetic setting – ENNOVA Tri-Healing Health Center. This special tour or retreat is a continuation or a combination of the intensive training of medical Qigong & mind power offered by the World Institute for Self-Healing Inc. (New Jersey), the Self-Healing Retreat for Cancer Recovery offered by University of Maryland, and the anti-cancer rehabilitation camp by the Guolin Xin Qigong group (China). 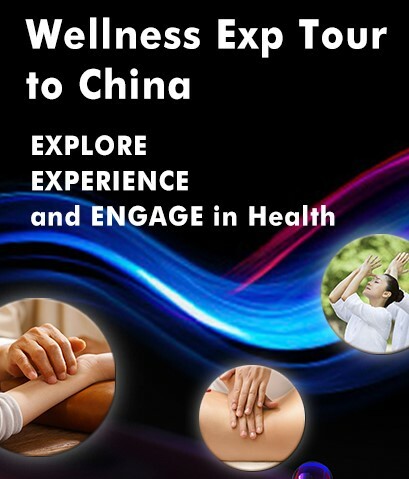 Led by internationally-renowned mind-body medicine expert Dr. Kevin Chen, this rehabilitation tour or retreat will encourage participants to EXPLORE, EXPERIENCE, and ENGAGE in topics such as emotional health, detoxification, pain management, nutrition, Qigong exercise, mind-body medicine, mindfulness, external TCM treatment, and stress/anxiety management. Movement-based qigong exercises will enliven both body and mind, TCM-based treatment sessions will detoxify the physical body and awaken vital energy, while the interactive lectures will stimulate the mind and spirit. Emotional health and relationships in cancer recovery with Teacher Fengyuan Bao (founder of Mind-wisdom medicine). Anyone who wants to learn medical Qigong & TCM therapies and their applications in cancer prevention and recovery. Please note: We reserve the right to cancel the retreat(s) if we do not have a minimum of 8 participants sign up one month prior to the start date. 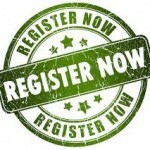 To ensure a successful tour and retreat, please sign up early and encourage your family and friends to join you! 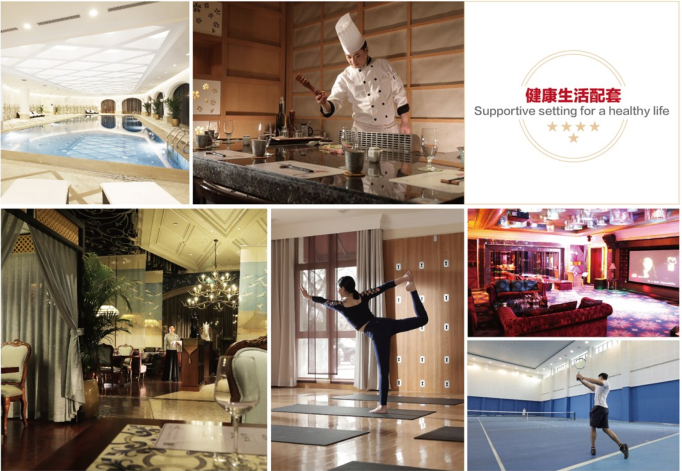 International flight is not included, and you need book your own flight – arrive and leave at Beijing International Airport or Tianjin International Airport. 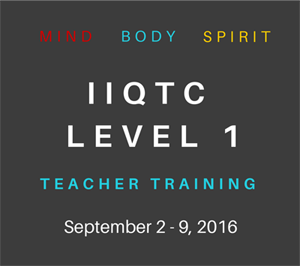 Any question about the tour or retreat, email Dr. Kevin Chen at Qigong4us@hotmail.com. In order to ensure quality of the retreat and treatments, the total number of participants is limited to 36 for this retreat tour. Please click HERE to download the TCM energy_N_rehabilitation_tour_Registration form; return the signed registration form with payment to register (the tour takes only a total of 36 participants at first-come first-serve, so please register earlier for your spot). 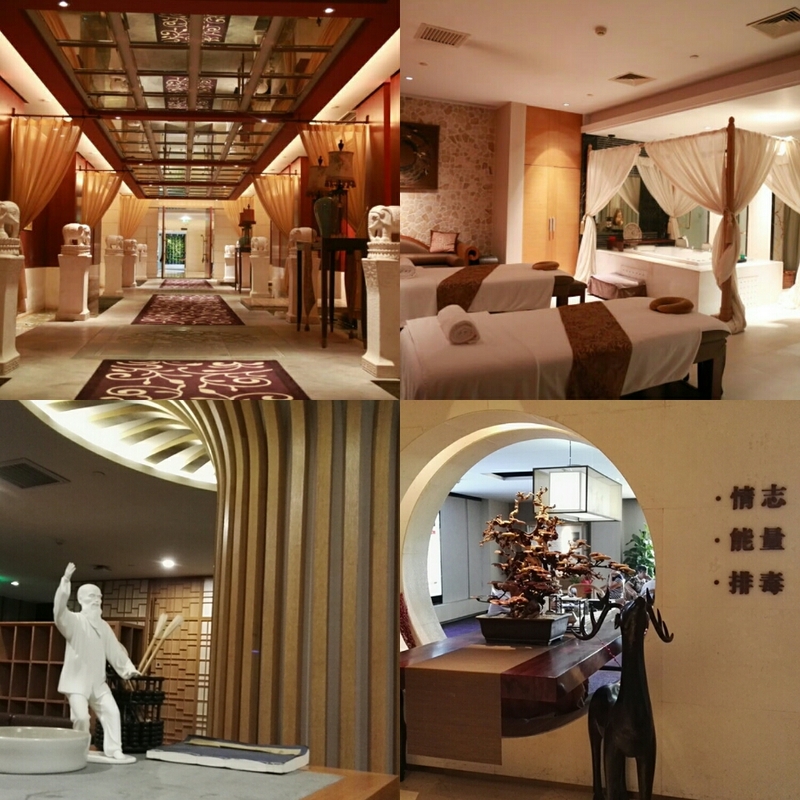 Inside of Tri-Healing Health Hotel & Resort. 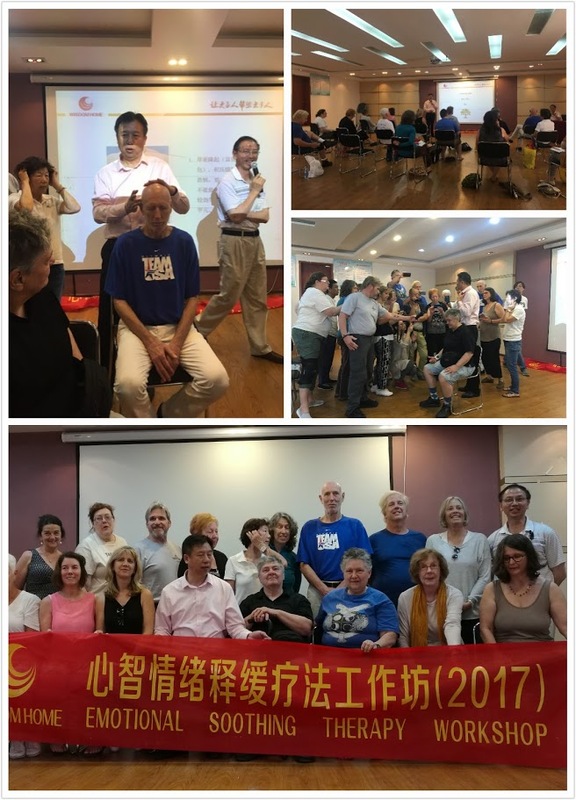 This comprehensive retreat for energy and rehabilitation is designed to maximize your energy and confidence level through TCM tri-healing system, to purify your body through TCM methods, to maximize your body’s self-healing ability and help you cope effectively with the stress and anxiety in the cancer recovery, while helping you build a healthier lifestyle and a positive life perspective. A Well-Adjusted Attitude – Every person possesses great healing potential, but we may find that we had exclusively been seeking help from outside of ourselves if we’ve never learned to “search for help within.” In this retreat you will gain confidence in your body’s ability to heal itself and learn skills to activate and sustain the healing process. 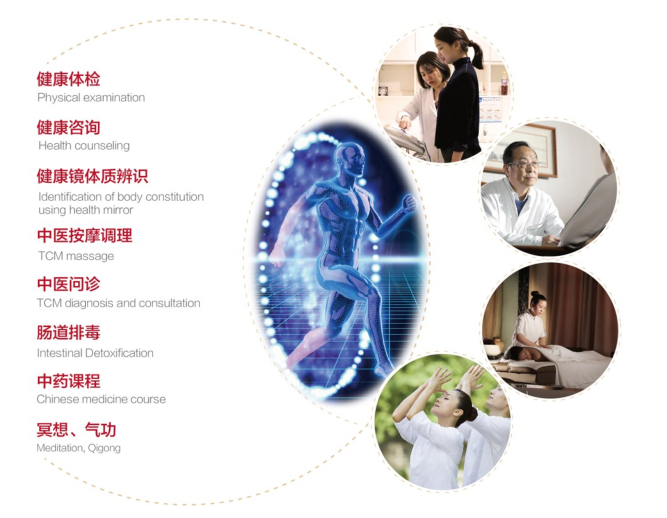 A Significant Energy Boost – through our unique tri-healing system for energy ascension – including various TCM and modern state-of-arts therapies and technology, such as Sanf magnetic therapy, meridian moxibustion, calming waterwave therapy, stone needle therapy, Qi-boosting herbal therapy, ancient energy ascension, and medical Qigong, which will help accelerating the rehabilitation process. A Decrease in Stress & Anxiety – Even in the face of difficult situations, we can choose how to respond. Rather than being carried away by stress and fear, learning effective mind-body stress and anxiety management techniques can improve well-being, increase optimism and decrease worry. In this unique retreat you will learn powerful breathing techniques, develop skills in positive reframing, practice non-judgmental detachment and experience Qigong movements that have been specifically designed to enhance your wellness. 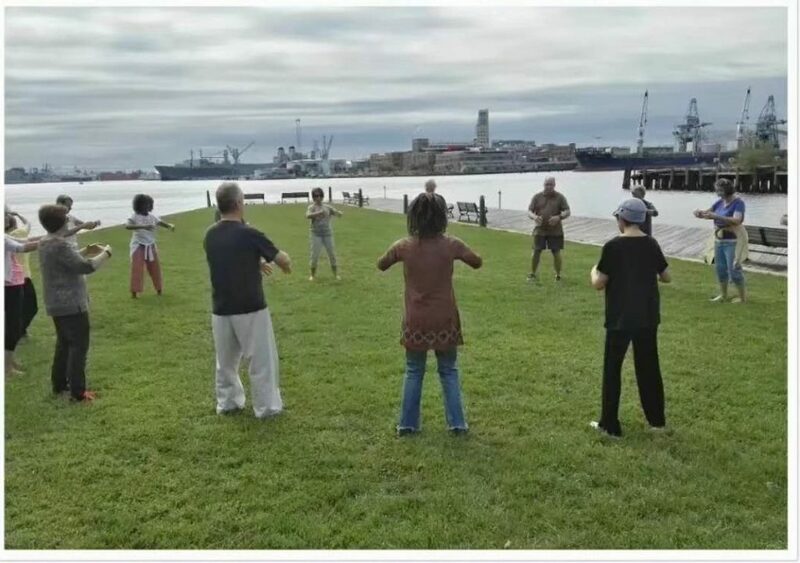 ‌Master of Qigong Systems Designed Specifically for Fighting Cancer – Kevin Chen, PhD, MPH has been trained in cancer-fighting Qigong techniques and he will share this unique and important knowledge with you. Both the Taiji Five-Element Self-Recovery System and the Guolin New Qigong will be presented. You will learn both static and movement forms of Qigong and will leave with the skills to continue your Qigong practice once you return home. A Complete Detoxification & Purification — through our unique tri-healing system, you will get an individualized detoxification and purification service based on the TCM diagnosis and assessment. The detoxification techniques may include intestinal detoxification, lymphatic detoxification, meridian detoxification, skin detoxification and herbal detoxification. 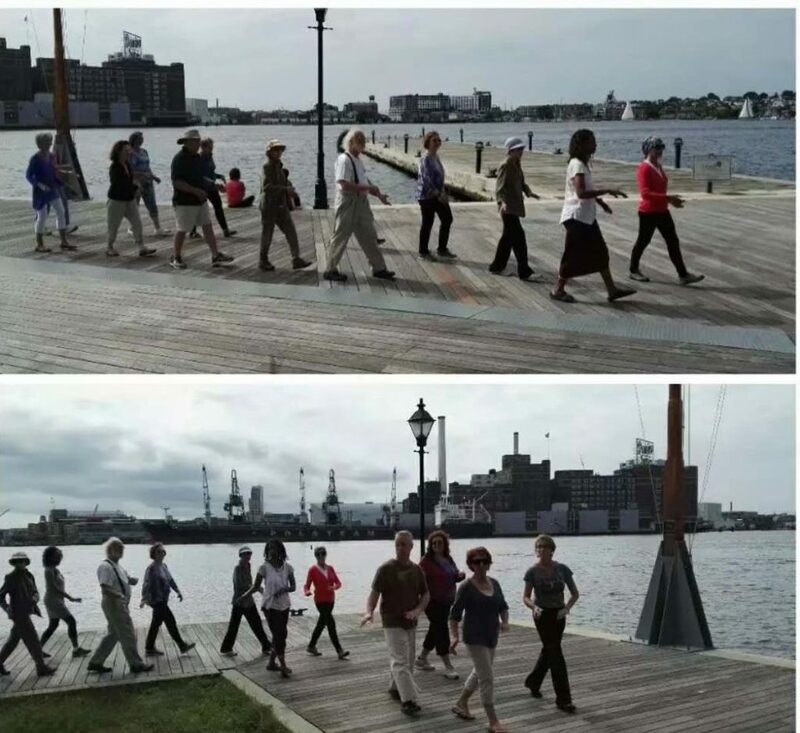 Previous retreat participants practice natural walking Qigong. Nutrition and Dietary Supplements for Cancer Recovery – Not all foods are created equal, but how do you know which foods and dietary supplements help speed healing and enhance health? Our nutrition expert, Dr. Qian Zhang, will teach you how to choose the best for your recovery, meanwhile, you will have chance to get individualized nutrition suggestions based on the TCM assessment, and experience some medicinal food during your stay in our facility. Behavioral Reprogramming – We all have behavioral patterns that do not support our wellness and health. This retreat will help you identify these patterns and provide techniques to help you overcome them. You will learn to identify health-inducing changes in your lifestyle, and thinking patterns and behaviors that are needed to regain the healthy integration of your mind, body and spirit. Evidence-Based Self-Healing Techniques – Seeking a comprehensive approach to recovery is the key for cancer rehabilitation. You will learn evidence-supported interventions to maximize your diet, acupressure points to help pain and other symptoms, and many other techniques specifically chosen to support your recovery. Healthier Relationships and Emotion – One of the key ingredients for healing, especially for those facing cancer – as patient, loved one, or caregiver – is “connectivity” and emotional health. 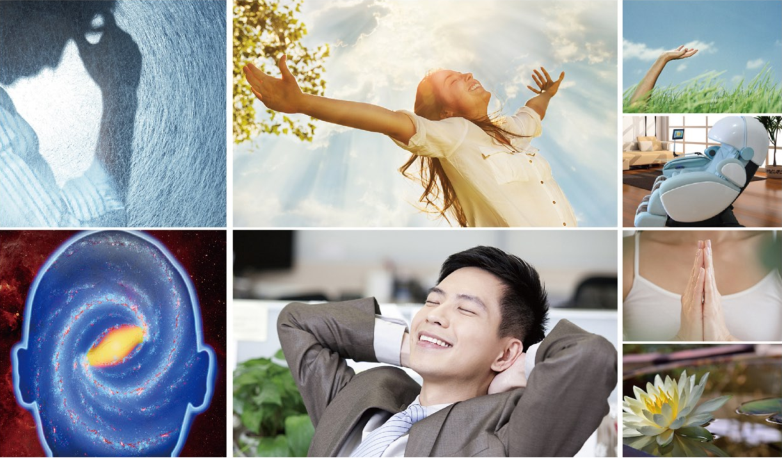 Guest speaker Teacher FengYuan Bao will teach Emotional Soothing Therapy, with practical principles & tools, from the oriental wisdom and Chinese medicine theory. You will have chance to learn a different perspective for emotional health, and hopefully to build a better relationships; & ultimately for a healthier, happier YOU. Previous retreat participants practice standing meditation in the morning. READ WHAT OUR PAST RETREAT PARTICIPANTS HAVE TOLD US HERE. Dr. Kevin Chen is an associate professor at the University of Maryland School of Medicine, president of the World Institute for Self-Healing, Inc. and a consultant working in ENNOVA Health. 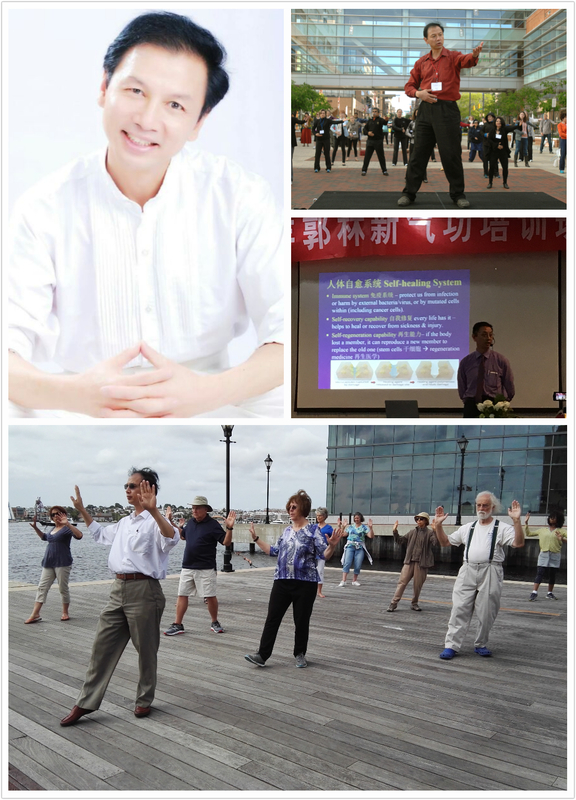 With Chinese origin and a long-term Qigong meditation practice, Dr. Chen is among the few scientists in the world who has both extensive knowledge of Qigong as well as active involvement in Qigong and meditation research. He is the deputy secretary of the World Academic Society of Medical Qigong (headquartered in Beijing), the associate editor-in-chief of the English version textbook “Chinese Medical Qigong” (2010), and the publisher of Yang-Sheng.com, an online magazine that promotes self-healing and integrative health of body, mind and spirit. Dr. Chen has extensive experience using modern psychology and medical Qigong to facilitate health and healing in people facing cancer or other chronic conditions, and have offered similar intensive Qigong training and retreat for cancer patients in the World Institute for Self-Healing (New Jersey) and in University of Maryland Center for Integrative Medicine for many years. Chun-Rong Zhang, OMD, 张春荣—Chief Physician and Professor, Special medical expert of TCM in Beijing University of Chinese Medicine. 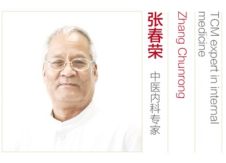 Dr.Zhang has been engaged in medical, scientific research and teaching for over 40 years, and has undertaken teaching duty for undergraduate, graduate, doctoral, and overseas students at different levels. He is also a visiting professor of the Singapore Chinese Medicine Society and a consultant for the Hong Kong Institute of Famous Medicine and Physicians. 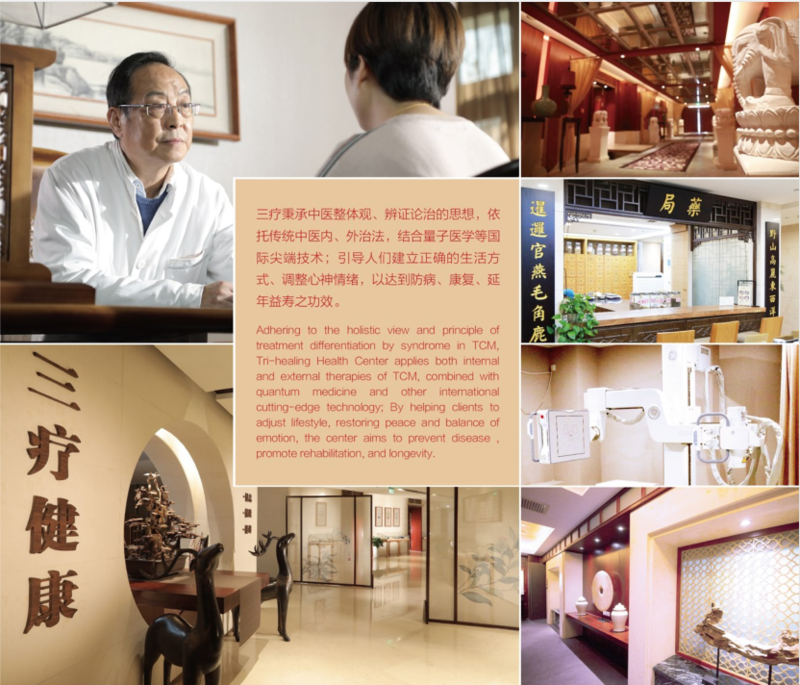 Dr. Zhang has been specialized in the treatment of various cancers; and he is also an expert in diseases such as urinary tract infection (cystitis, urethritis, frequent, urgent, painful and incontinent urine); chronic nephritis, nephrotic syndrome and edema; stroke hemiplegia, eye skew (simplex facial paralysis), chronic gastritis, superficial gastritis, atrophic gastritis, gastric ulcer, chronic cholecystitis, thyroid nodules, hyperthyroidism, herpes zoster, eczema, cold, cough, and sub-health, insomnia, heart palpitations, forgetfulness, depression, anxiety and other prominent curative effect. Wen-Jun Ye, M.D. OMD, 叶文俊, Chief Physician, Master of medicine from Hubei University of Chinese Medicine, Medical Doctor from Japan Aizhi University of Mediciner. He has studied and practiced medicine in Japan during early years, has a great reputation both at home and abroad. Dr. Ye is the disciple of master JinYong Li, the grandmaster of Yellow Emperor’s Internal Classic (Huangdi Neijing). 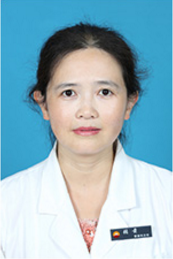 With more than 30 years of medical practice, Dr. Ye is the leading research fellow at the Institute of TCM Research. His specialties include treatment of various cancers, all kinds of difficult diseases (such as stroke sequela, coronary heart disease, hypertension, diabetes, arrhythmia, gout, gastric ulcer and atrophic gastritis, liver cirrhosis and chronic renal insufficiency, hyperthyroidism, etc. ); irregular menstruation, infertility, menopause syndrome, etc; various psychosomatic diseases, such as insomnia, depression and anxiety. Qian Zhang, M.D. 张前, deputy chief physician, director of the nutrition branch, Center Hospital of China National Petroleum Corp. a member of standing committee of Hebei Physicians Association — Nutrition Physician branch, the committee member of Hospital Association of Nutrition Management in Hebei Province. 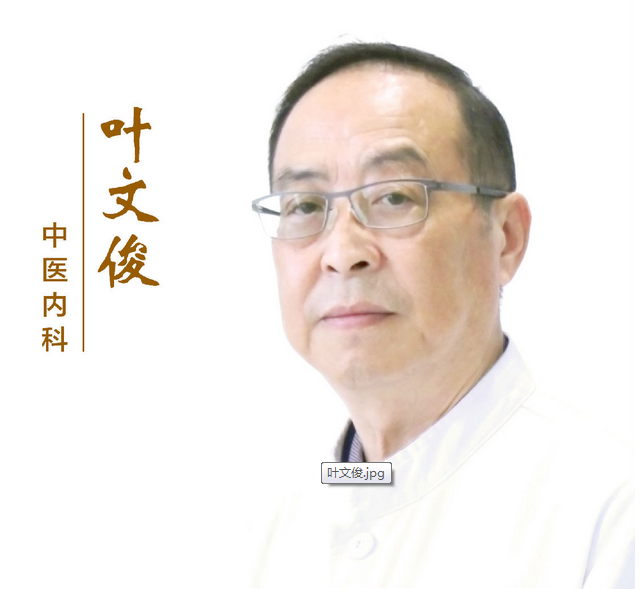 Dr. Zhang graduated from Zhejiang Medical University in 1993 with major in medical nutrition. She has worked in clinical nutrition for many years, with rich experience in the diagnosis of clinical nutrition. She is good at clinical nutrition diagnosis and treatment of related diseases and critical nutrition support, and had published in many national core periodicals. She is the co-editor-in-chief of ” Nutrition Norms and Practices in Modern Clinical Common Disease Diagnosis and Treatment”. She has won multiple research awards in medical and nutrition science and technology. Fengyuan Bao, B.S.包丰源 — the founder of Mind-Wisdom Medicine (which has been very famous in China), Teacher Bao has created and applied the Emotional Soothing Therapy to help thousands of people in China. Through years of painstaking research and study on the consciousness philosophy and quantum physics, Teacher Bao combines the Eastern philosophical wisdom and Western scientific evidence for the effective integration of Einstein energy and material conversion science theory, based on his own experience and years of clinical practices, he developed a system of body-mind-spiritual healing based on traditional Chinese philosophy and culture. It’s hard to describe the power and potential of mind-wisdom medicine and the Emotional-Soothing Therapy (EST) in this short piece, please read a recent publication by Teacher Bao on Examination of the Relationship between Emotional Disturbance and Tumors: Introduction to Emotional Soothing Therapy through Two-Case Studies of Uterine Fibroids to get the basic ideas. Teacher Bao will teach the EST at our retreat. 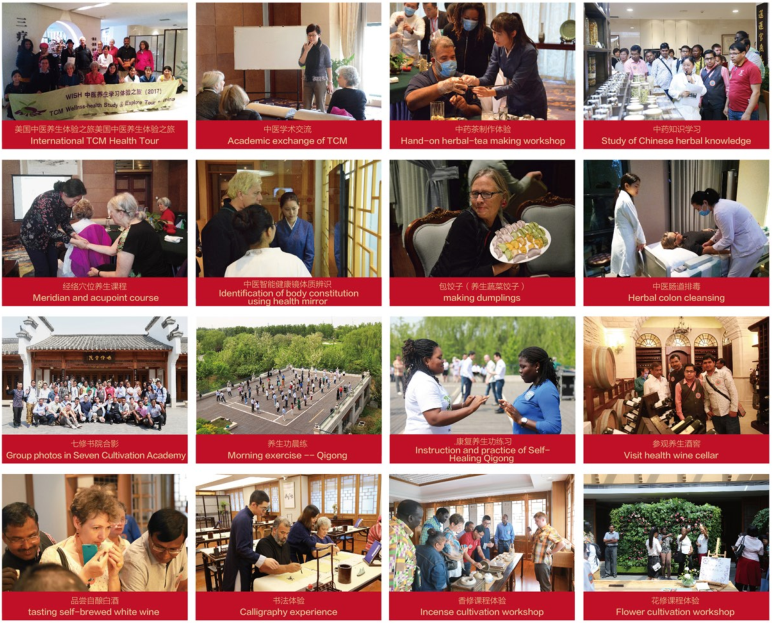 The philosophy or slogan of Bao’s teaching is, “teach more people to help more people!” If you are able to master the key EST skills through Bao’s training, it is more than worth the entire trip as you will become a real healer after you go back home. Master Jian Wang, (王健) – one of the disciples of master Guo Lin (founder of Guolin Qigong), and current president of the Guolin Disciple Xinqigong Therapy Research Association. Master Wang has engaged in teaching Guolin Xin Qigong for 40 years, and is a renown expert in Guolin Xin Qigong and related rehabilitation. 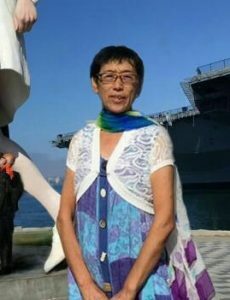 She has taught in the United States, Germany, Russia and Hong Kong, and offered presentations of Qigong in many different international conferences. She is well known for performance of Wuqinxi Qigong, and won the Gold medalist instructor and senior qigong master certification. She will be the chief instructor for the training of GuoLin Xin Qigong during our retreat, and closely supervise the teaching and practice of the Guolin Xin Qigong. The Tri-healing Health Center at ENNOVA Health, is aimed at “preventive treatment” (treating diseases before their onset), and take “let people suffer less from diseases” as its mission. Based on the traditional Chinese medicine (TCM) wellness culture and principles, the Center puts together a team of experts in Chinese and western medicine as leading core, uses a group of professional health managers as the link, and creatively developed “detoxification purification”, “energy ascension”, “emotional & mood management” as the core of the Tri-healing health system, which provides the intelligent health-management solutions for the whole person, whole process, and whole health, so as to help the clients restore the bodily balance(homeostasis), purification, and the body-mind-spirit comprehensive health! All wellness and health lessens and training. International flight: We can help you book your international flight from your home town to Beijing or Tianjin. The earlier you book, and more affordable it is. It will be most convenient if you book flights from your city to Beijing or Tianjin yourself (arrival on Oct. 13th, and leave on 29th). Please note, we can help book your flights once you register about 4 weeks before departure so that most participants can travel together with more affordable fight. For those who wish having single occupancy, not share room with other, please add $520 for a total of 16 nights. Due to the limitation of training and service facility, the tour will take only 36 participants in total on the first-come first-serve base. 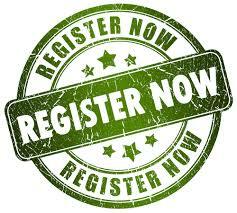 The registration will close two weeks before departure date or when the maximum number is reached. $600 deposit required when registering for participation ($300 non-refundable), so that the hotel can be reserved in your name. The rest balance is due on the day of arrival, either by cash or by bank debt card. Our cancellation policy is based on trip director discretion and we do our best to help on a case-by-case basis. As the departure date nears, it will of course be more difficult to provide full refunds due to fees and fares that we pay in advance. 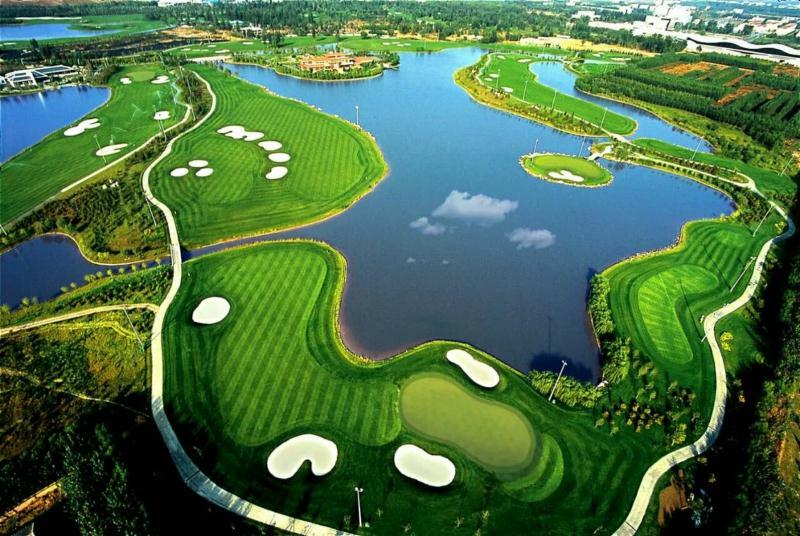 You need a valid passport and a China Tourist Visa to make it to this China tour. If you don’t have a China visa yet, please do so at your early convenience. Once you decide to go, please get your China visa ASAP as China may change its policy on visa application process in response to president Trump tightening policy. We have reached agreement with a VISA service company in US for a discount price in full service, please go to web site: http://www.mychinavisa.comfor Visa information. The entire trip will be led by Dr. Kevin Chen and a professional health-management. 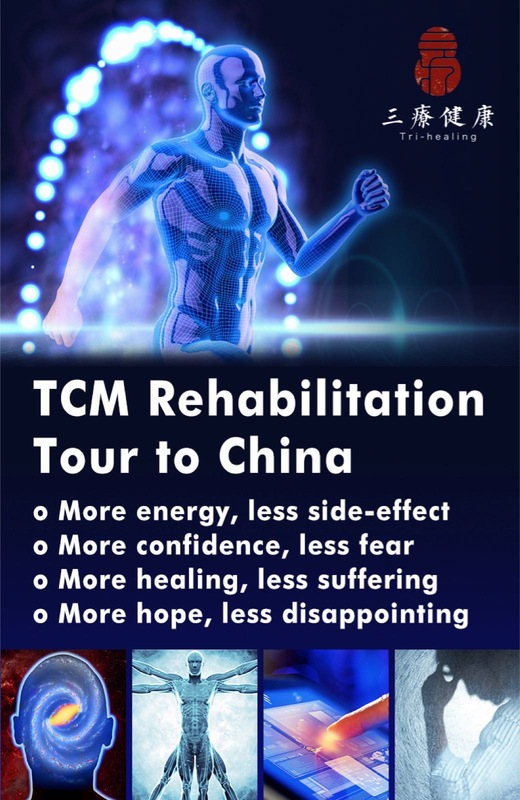 If you are interested in participating in this tour/retreat, please download the TCM Energy & Rehabilitation Tour Registration form; return the signed registration form with payment to register as soon as possible. Thank you! After all 36 spots are filled, late registrant will be placed in a waiting list, for possible fill-in later after possible cancellation, or when situation changes. Thank you for your interests in this Tour! Hope to see you in China some time soon. Please inform us your health information and medical history fully before individualized healing experience to ensure accurate diagnosis and safe treatment. The minimum number of participants for this retreat is 8 persons. The airport pick-up service is available (from Beijing Capital International Airport, or the Tianjin Binhai International Airport). 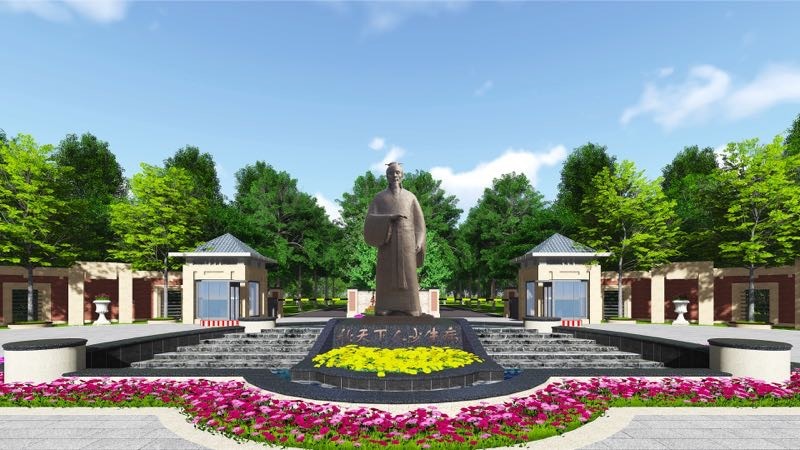 Address: ENNOVA Health Garden, Jinyuan road, economic and technical development zone of Langfang city, Hebei province, China. Gulf course around the Tri-Healing Health Hotel & Resort. Wayne PM, Lee MS, Novakowski J, et al. “Tai Chi and Qigong for cancer-related symptoms and quality of life: a systematic review and meta-analysis”. J Cancer Surviv. 2018 Apr;12(2):256-267. Van Vu D, Molassiotis A, Ching SSY, Le TT. Effects of Qigong on symptom management in cancer patients: A systematic review. Complement Ther Clin Pract. 2017 Nov;29:111-121. Klein P. Qigong in Cancer Care: Theory, Evidence-Base, and Practice. Medicines (Basel). 2017 Jan 12;4(1). Chen K, & Yeung R, 2002. “Exploratory studies of qigong therapy for cancer in China.” Integrative Cancer Therapies. 1(4): 345-370. He B & Chen K, 2002. “Integrative Tumor Board for Advanced Breast Cancer: Qigong Analysis” Integrative Cancer Therapies, 1(2):200-202. Lee MS, Chen KW, Sancier K, Ernst E. 2007. “Qigong for cancer treatment: A systematic review of controlled trails.” ACTA Oncologica, 2007;46(6):717-22. Lee MS, Chen KW, Earnst E. 2010. 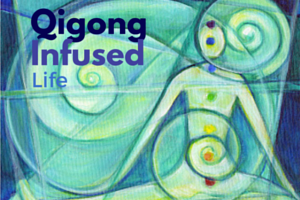 Supportive Cancer Care with Qigong. Pp. 77-94 in W.C.S. Cho (ed.) Supportive Cancer Care with Chinese Medicine, London: Springer Science. Zeng Y, Luo T, Xie H, Huang M, Cheng AS. Health benefits of qigong or tai chi for cancer patients: a systematic review and meta-analyses.Complement Ther Med. 2014 Feb;22(1):173-86. Fong SS, Ng SS, Lee HW, et al. 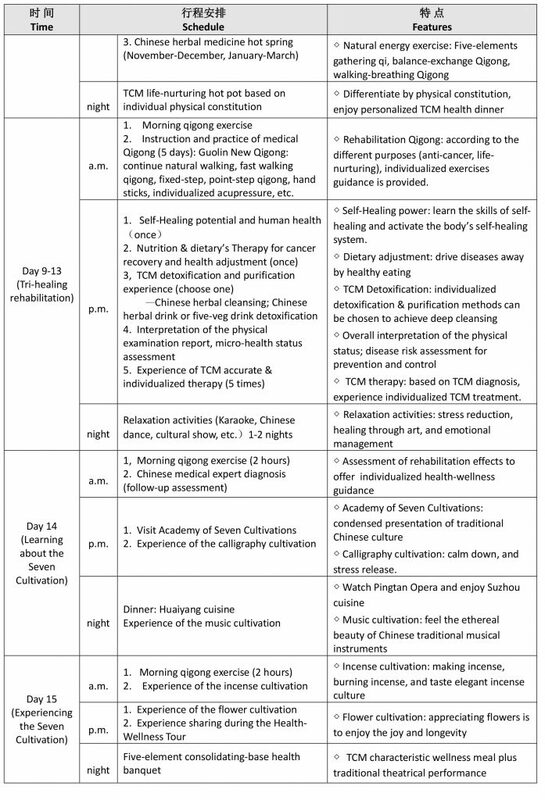 The effects of a 6-month Tai Chi Qigong training program on temporomandibular, cervical, and shoulder joint mobility and sleep problems in nasopharyngeal cancer survivors. Integr Cancer Ther. 2015 Jan;14(1):16-25. Loh SY, Lee SY, Murray L. The Kuala Lumpur Qigong trial for women in the cancer survivorship phase-efficacy of a three-arm RCT to improve QOL. Asian Pac J Cancer Prev. 2014;15(19):8127-34. Larkey LK, Roe DJ, Weihs KL, Jahnke R, et al. Randomized controlled trial of qigong/tai chi easy on cancer-related fatigue in breast cancer survivors. Ann Behav Med. 2015 Apr;49(2):165-76. Oh B, Butow PN, Mullan BA, et al. Effect of medical Qigong on cognitive function, quality of life, and a biomarker of inflammation in cancer patients: a randomized controlled trial. Support Care Cancer. 2012 Jun;20(6):1235-42. Oh B, Butow P, Mullan B, Hale A, Lee MS, Guo X, Clarke S. A critical review of the effects of medical Qigong on quality of life, immune function, and survival in cancer patients. Integr Cancer Ther. 2012 Jun;11(2):101-10. Oh B, Butow P, Mullan B, et al. 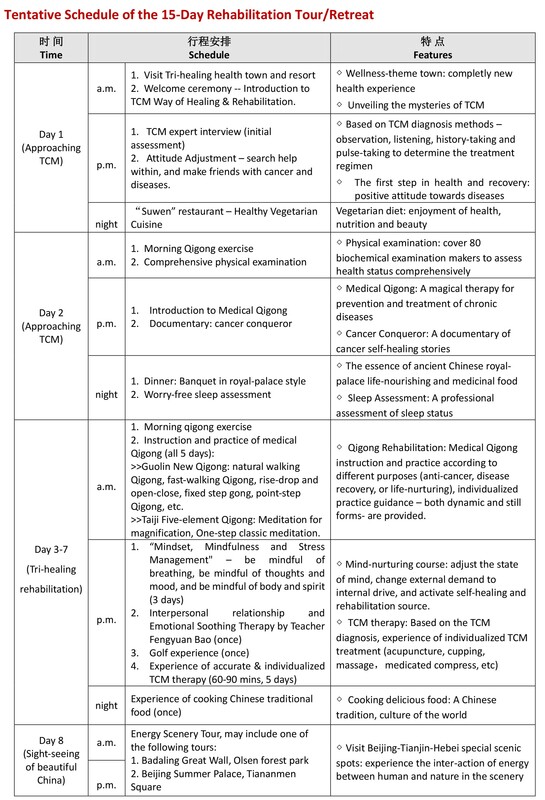 Impact of medical Qigong on quality of life, fatigue, mood and inflammation in cancer patients: a randomized controlled trial. Ann Oncol. 2010 Mar;21(3):608-14. Bower JE, Crosswell AD, Stanton AL, et al. Mindfulness meditation for younger breast cancer survivors: A randomized controlled trial.Cancer. 2015 Apr 15;121(8):1231-40. Carlson LE, Doll R, Stephen J, et al. Randomized controlled trial of Mindfulness-based cancer recovery versus supportive expressive group therapy for distressed survivors of breast cancer. J Clin Oncol. 2013 Sep 1;31(25):3119-26. Kim YH, Kim HJ, Ahn SD, Seo YJ, Kim SH. Effects of meditation on anxiety, depression, fatigue, and quality of life of women undergoing radiation therapy for breast cancer. Complement Ther Med. 2013 Aug;21(4):379-87. Musial F, Büssing A, Heusser P, Choi KE, Ostermann T. Mindfulness-based stress reduction for integrative cancer care: a summary of evidence. Forsch Komplementmed. 2011;18(4):192-202. Matchim Y, Armer JM, Stewart BR. Mindfulness-based stress reduction among breast cancer survivors: a literature review and discussion. Oncol Nurs Forum. 2011 Mar;38(2):E61-71. Matchim Y, Armer JM. Measuring the psychological impact of mindfulness meditation on health among patients with cancer: a literature review. Oncol Nurs Forum. 2007 Sep;34(5):1059-66. Ott MJ, Norris RL, Bauer-Wu SM. Mindfulness meditation for oncology patients: a discussion and critical review. Integr Cancer Ther. 2006 Jun;5(2):98-108. Henderson VP, Clemow L, Massion AO, et al. The effects of mindfulness-based stress reduction on psychosocial outcomes and quality of life in early-stage breast cancer patients: a randomized trial. Breast Cancer Res Treat. 2012 Jan;131(1):99-109. This entry was posted in Emotional Health, Self Healing Method, Wellness Tour. Bookmark the permalink.